Selvax’s goal is to develop a safe, effective, immunological-based treatment for a range of hard to treat solid tumours. During the past six years, a research team at Curtin University’s School of Pharmacy and Biomedical Sciences led by immunologist Professor Delia Nelson has achieved a major breakthrough in the treatment of cancer by harnessing and amplifying the body’s anti-tumour immune response (self vaccine cancer immunotherapy or Selvax). 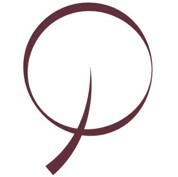 The Selvax team combined two immunological agents, both of which are approved for use in humans, and has shown that when the two agents are administered directly into the tumour site they achieved complete regression of large tumours (that were resistant to chemotherapy and to each agent used alone) without toxicity. The clearance rates achieved in small animal trials were > 80%, for mesothelioma and > 60% in pancreatic cancer. The Selvax treatment didn’t simply slow the cancer in the treated animals, it cured the cancers. In the animals successfully treated the tumours were cleared and did not recur for the life of the animal. The trials also demonstrated that treating a tumour in one location in the animal resulted in the destruction of a second tumour in another part of the body. The potential medical significance of this finding is considerable, given the tendency of many solid tumours to metastasise. The Selvax approach differs from traditional chemotherapy and radiological treatments in that its goal is to stimulate the patient’s own immune system to kill the cancer. The treatment effectively acts as a vaccine against recurrence of the cancer. It is also unique in that the delivery of the two immunological agents is made directly into the tumour and not systemically, thereby minimising the toxic side effects which had previously been an issue for other cancer immunotherapies (or indeed traditional chemotherapy). Selvax has co-developed and tested a liposome based intravenous delivery system for its immunotherapy in collaboration with the head of a research group at the Australian National University. The Selvax technology is wholly owned by Selvax Pty Ltd and the company itself is jointly owned by Curtin University and a group of Australian private investors. 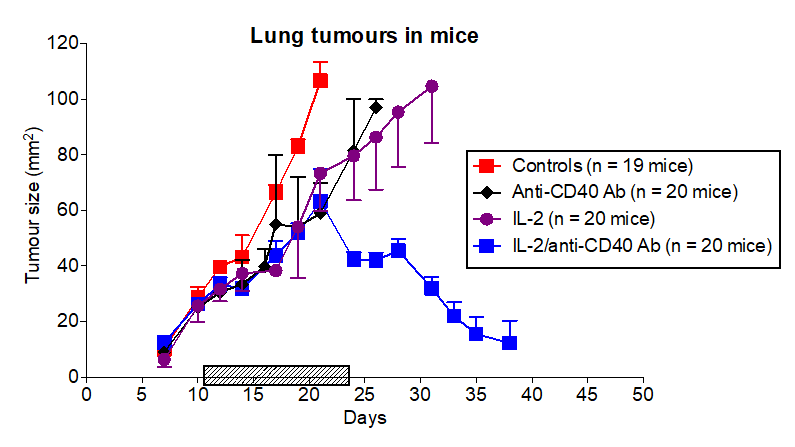 Graph shows tumour regression in mice treated with Selvax’s combination IL-2/anti-CD40 antibody immunotherapy compared to single therapies and controls (no treatment). The immunotherapy is targeted to the correct anatomical site, so it can be used at lower doses with fewer side effects. More effective and less toxic than other immunotherapies, leading to an improved quality of life for patients. Treatment in one location leads to a whole-body immune response, which means it can potentially be applied to patients with metastatic cancers. Development of long-term immunological memory may protect patients against cancer recurrence. Potentially applicable for a range of solid tumours in humans including lung, pancreas, skin, breast, brain and bone. Cancer immunotherapy is recognised by oncologists and patients as an exciting new treatment with curative potential that is rapidly overtaking traditional chemotherapy as the primary treatment option. 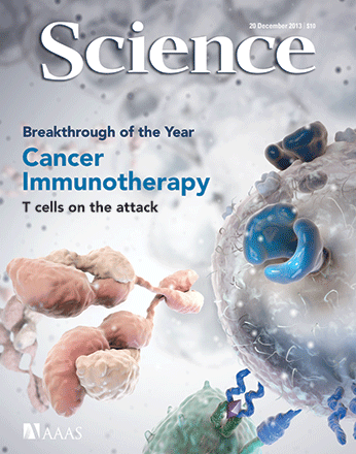 Cancer immunotherapy was selected as Science’s Breakthrough of the Year in 2013. Global cancer immunotherapy market is expected to reach US$119.39 billion by 2021 with an annual growth rate of 14.0% from 2016 to 2021. Market growth is driven by increasing cancer incidence due to an ageing population and rising healthcare expenditure. Cancer immunotherapies represent nearly 50% of total cancer therapeutics market (US$41.0 billion in 2014). Estimated to grow to approx. US$80 billion in 2020. Ref: GLOBAL & USA CANCER IMMUNOTHERAPY MARKET ANALYSIS TO 2020 – Kelly Scientific Publications (July 2016). Demonstrated the effectiveness of the Selvax immunotherapy in curing three hard to treat cancers (mesothelioma, lung cancer and pancreatic cancer) in repeated studies in small animals. Co-developed and tested a liposome-based intravenous delivery system for the Selvax treatment in collaboration with the head of a research group at the Australian National University. Commenced a trial of the Selvax immunotherapy in dogs with cancer in collaboration with Perth Veterinary Specialists, which runs the only specialist oncology clinic in Western Australia. Filed for patent protection for the novel monoclonal antibody that was developed for use in the dog trial, which forms the basis of a possible new animal health product range. Manufactured and commenced testing of a humanized monoclonal antibody sourced from North Coast Biologics, which is a potential candidate to use in planned human clinical trials. Obtained in principal agreement with a major European oncology institute to conduct the first human testing of the Selvax therapy in cancer patients. Commenced a pilot study with North Coast Biologics to develop a potential pipeline of novel antibodies against cancer targets that can be isolated from mice cured of cancer using the Selvax immunotherapy, which has produced very promising initial results. Obtained registration of Selvax for R&D cash rebates in Australia. Licence or sell dual therapy technology (IL2 + anti-CD40 agonist) to large pharmaco or cancer immunology company. Licence or sell canine cancer technology to an international animal health group (Australian and Japanese potential industry partners identified). Licence or sell any new therapeutic antibodies or targets identified through cooperation with North Coast Biologics to cancer immunology or other oncology companies. Selvax does not intend to pursue high cost clinical development in its own right, but will pursue early stage licensing or partnering as its preferred commercialisation strategy. Curtin University in Western Australia is Selvax’s principal research partner and undertakes contract research on Selvax’s behalf. The Curtin Health Innovation Research Institute (CHIRI) is Western Australia’s premier institute specialising in the chronic diseases of ageing, including diabetes, dementia and cancer. CHIRI is located on Curtin University’s Bentley campus and operates within a $35 million facility that provides more than 150 scientists and research students with laboratory space and access to state-of-the-art technology platforms for advanced gene, protein and cell analysis. Screening candidate humanised anti-CD40 agonist antibodies sourced through collaboration with US based biologics group NCB (promising initial results). Replicating previous successful small animal trials for a broader range of cancers, and generate samples of immune cells from cured animals for screening by NCB (underway). Appling the NCB antibody discovery technology to identify anti-tumour antibodies with therapeutic potential for the treatment of common cancers including lung, melanoma, pancreatic, colon and breast (underway). Continuing preparations for first human testing of Selvax therapy at a European cancer institute (ongoing).